In this game you will learn how it is not easy to please the princesses. And the thing is that they are invited to a party where there will be a lot of their fans. Princess Disney for a long time thought about how to stand out and decided to weave flower wreaths for each other on their heads. The game "Flower Wreath for Disney Princesses" will teach you to create beautiful flower wreaths and select dresses and decorations for beauties of princesses under them. In this dress up game, you can choose each of the princesses in turn and realize your idea of ​​how she should look at a party and which flower wreath to her is best to choose. Played: 2745. Added: 16-11-2018, 02:29. 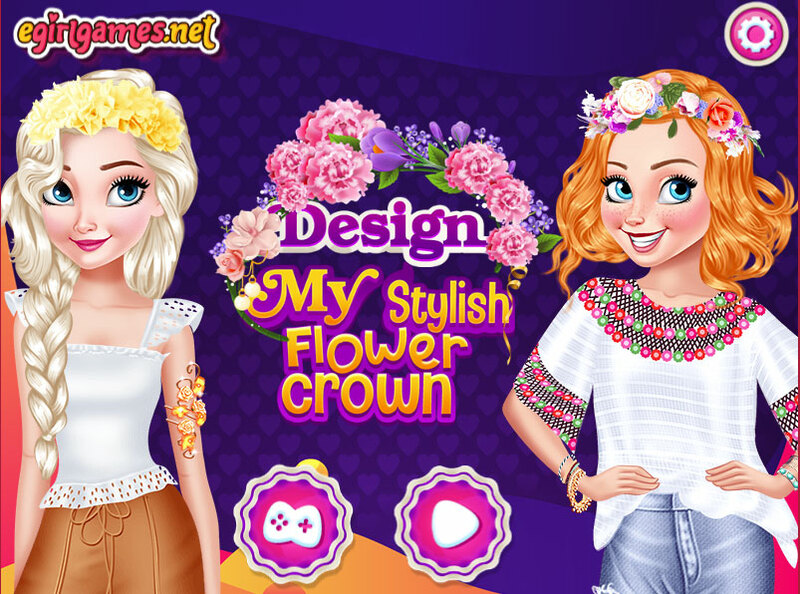 Design My Stylish Flower Crown game.